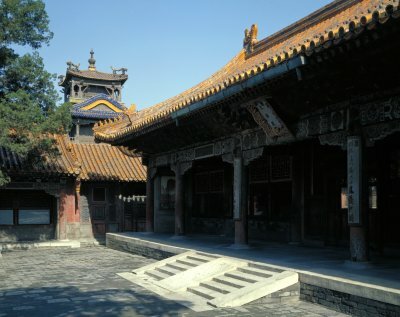 Upon its completion in the Ming dyansty (1368-1644), the Hall of Supreme Principle (Taiji dian) was the residence of consorts and concubines. In the late Qing dynasty (1644-1911), it was renovated and united with the Palace of Eternal Spring (Changchun gong) as a large compound. The current name was designated at that time. In the late Qing dynasty, the Empress Dowager Cixi and Longyu resided here.